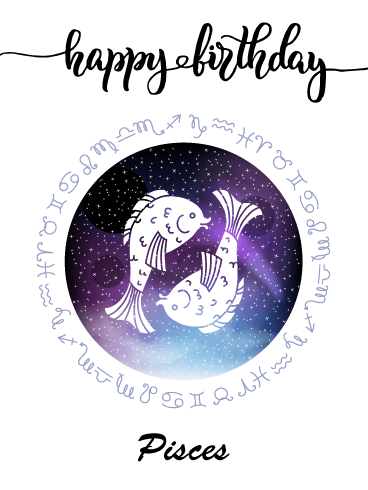 Looking for the perfect birthday card for the Pisces in your life? Look no further! This year, that special Pisces needs some self-love, so be nurturing and caring while giving them the space to care for themselves. Some words of affirmation go a long way. 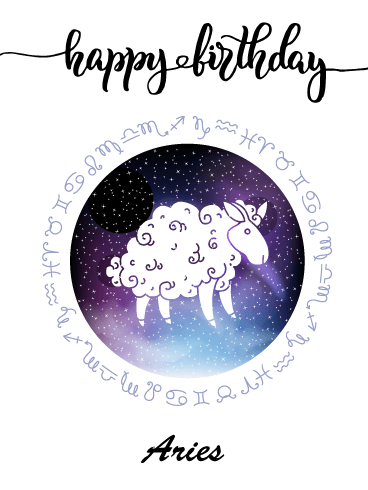 Wish the Aries in your life a happy birthday with this customized card. Aries are known for their patience and ability to wait things out despite their consistent determination. Don’t make them wait too long on their big day! Bring out all the stops to show the Aries in your life how much they mean to you! 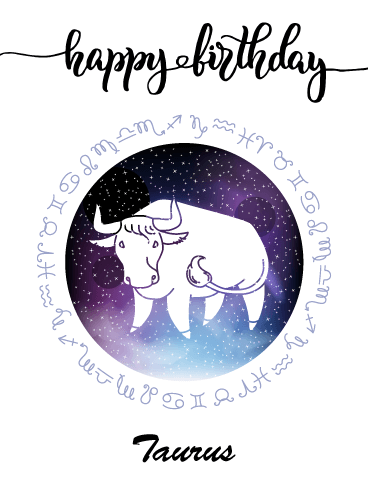 Show the Taurus in your life you’re thinking of them on their special day with this unique birthday card. This year, the Taurus must focus on compromise, which may be difficult with their practical nature. Include a motivational quote or two to help them start their year off strong. If you’re looking for a standout birthday card, this Gemini specialty is bound to do the trick. The recipient will appreciate that you took the time to get a card tailored to who they are. For your Gemini’s birthday, try to take them out of their comfort zone. Spontaneity can be difficult for Geminis, but there’s no better time than a birthday to go a bit wild! Wish your favorite Cancer a happy birthday with this fantastic birthday card. 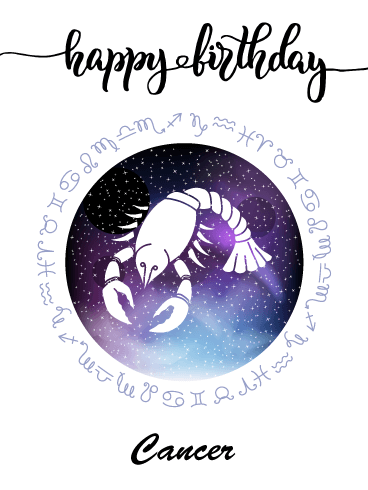 Of all the zodiac signs, Cancers are known as being the most complicated– but there’s nothing complicated about a birthday. Grab some balloons, confetti, and cake, and show that special someone a birthday they’ll never forget. 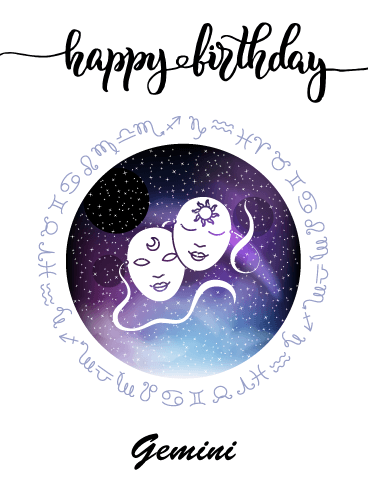 Have a friend who’s a Leo with a birthday on the horizon? Make them feel extra loved with this awesome birthday card. Leos are easily excitable, so this custom birthday card is the perfect way to kick things off with a bang. Your Leo may be a bit stubborn, as many Leos tend to be, but remember that today’s their day and they should get everything their heart desires! 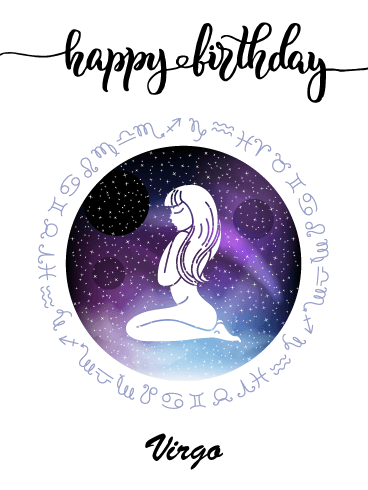 Send the sweetest birthday wishes to your favorite Virgo with our custom Virgo birthday card. People with this zodiac sign are known for being extremely hardworking and loyal, and today’s the day to show them love and loyalty in return. Make it a birthday they’ll never forget! 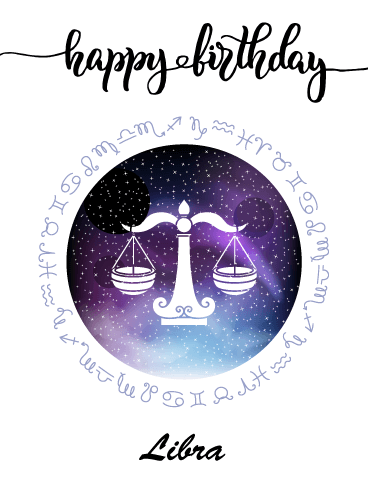 For that special Libra love in your life, this fabulous card is bound to bring a smile to their face. Just as their zodiac symbol suggests, Libras are all about balance. They depend on compromising– but don’t let them compromise on having an awesome birthday! It’s a must! 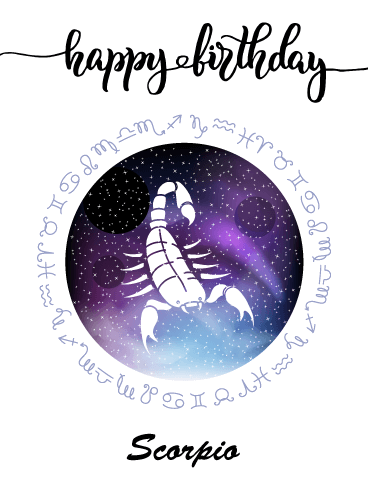 Show the Scorpio in your life how much you care with this awesome birthday card. There’s nothing better than receiving a card customized to who you are. Scorpios are passionate people, so they are bound to love how much thought you put into their special day. 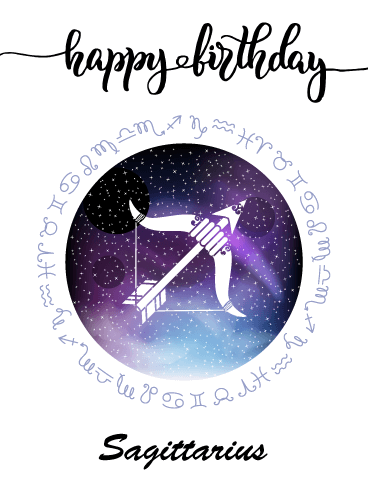 It’s a Sagittarius celebration! Send birthday wishes to a family member, friend, or colleague with this one-of-a-kind card. The Sagittarius may have a tendency to speak without thinking, but let it slide on their special day. We know guys and gals with this zodiac sign are funny and charismatic, so focus on the positives! 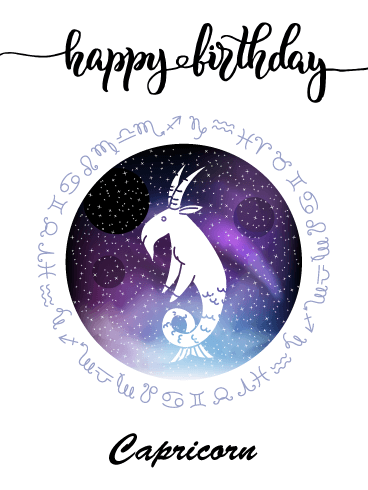 Wish that special Capricorn in your life the happiest of birthdays with this special card just for them. Help them let loose on their special day. Capricorns are known for being responsible and overly disciplined, but today’s their day to have fun and throw their worries away! We’ve got you covered with the perfect Aquarius-specific birthday card. Whether you’re looking for a card for your best friend, sibling, or neighbor, this is bound to make your January or February-born special someone smile. Aquariuses sometimes have trouble expressing their emotions, so a sweet card is a great way to their heart.